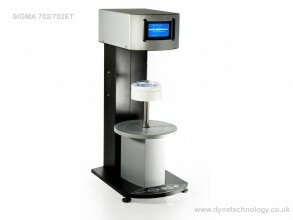 UK based Dyne Testing offer Sigma 702 and 702ET that are standalone force tensiometers offering high resolution and precision. Direct measurements allow determination of a number of material and surface properties, such as dynamic contact angle, surface free energy, critical micelle concentration, wettability, surface and interfacial tension measurements. 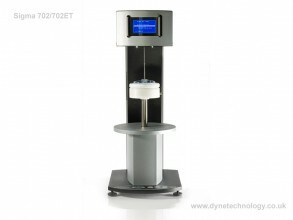 The Sigma 702ET is specially designed for oil-water interfacial tension measurements in line with ASTM and IEC standards. Software specifically designed for oil-water measurements is provided. Results are displayed on a large integrated digital screen. Open design and convenient control keyboard operations make Sigma 702 and 702ET extremely easy to use instruments. Sigma 702 enables precise temperature control thanks to an integrated water-jacket vessel holder, mounted on a motorized sample stage. 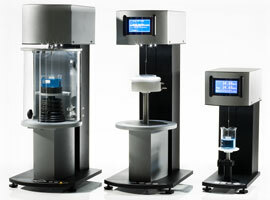 Sigma 702ET is also equipped with a motorized sample stage, but without water jacket vessel order. Sigma 702ET is specifically designed for oil-water interfacial tension measurements in line with ASTM and IEC standards. A software designed for oil-water measurements is provided with the Sigma 702ET. Sigma 702ET can also be connected to an external PC for additional data storage and simple reporting. The data collection software is provided with the instrument. Both instruments are standalone offering high resolution and precision for surface and interfacial tension measurements, as well as non-automatic CMC determination. Allows precise temperature control via its integrated water-jacket vessel holder which is directly mounted on the motorised sample stage. Specially designed for oil-water interfacial tension measurements in line with ASTM and IEC standards. Embedded software specifically designed for oil-water measurements is provided. For further information on both products please refer to the downloads tab.